It's here! The list of the ships enrolled in Amver this past week. Take a look and see if your ship is listed. If you're on the fence about joining consider this. If you aren't part of Amver you can't necessarily be part of a coordinated search and rescue response. Joining is easy, the reporting requirements (we're voluntary by the way) are minimal and you just may save a life. Now, help us welcome these new ships. U.S. Coast Guard rescue authorities in Guam diverted the Amver participating bulk carrier Hebei Triumph after they received a 406 MHz Emergency Position Indicating Radio Beacon (EPIRB) for possible tug boat distress 154 miles northeast of Palau on Wednesday, February 11, 2015. Rescue personnel in Guam coordinated with rescue authorities in Singapore as the EPIRB was also indicating it might be coming from the Singapore Straights near Batam Island. 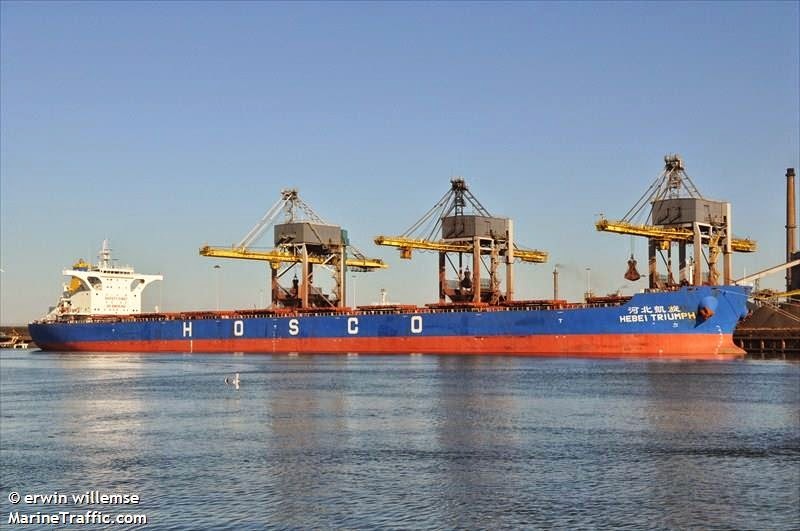 An Amver surface picture (SURPIC) was initiated and the Hong Kong flagged bulk carrier Hebei Triumph was located only 30 miles from the possible distress location near Palau. The captain of the 967-foot ship agreed to divert and search for any signs of distress. Singapore rescue personnel were able to determine the EPIRB alert was accidental and notified Coast Guard officials in Guam. The Amver ship was released to continue on its voyage. The Hebei Triumph, managed by North China Shipping Holdings Co, enrolled in Amver on July 15, 2012. Each week we take a moment to recognize the latest ships to join Amver. The tradition stems from the Amver Bulletin, the "old" monthly magazine that the Amver staff has published since 1959. Today we share it in a blog post. Why do we continue to list the ships that enrolled in Amver? Because joining Amver demonstrates the extra step, the extra commitment mariners make in the name of safety. We're grateful for your participation. If you haven't joined, enroll today. Coast Guard personnel received the alert, which was ambiguous and split between a position near Guam and another near Malaysia, and used an Amver surface picture (SURPIC) to locate the Panamanian flagged Amver particpant Chubu Maru. 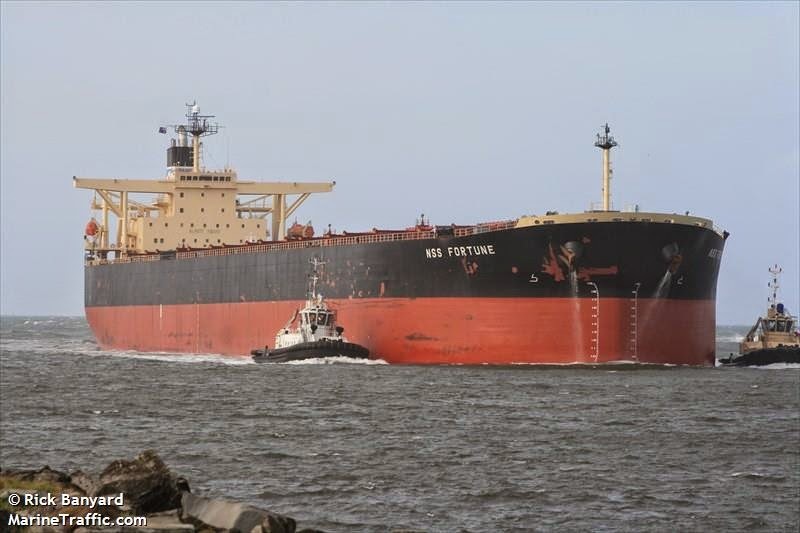 The 820-foot ship was near one of the distress locations and agreed to divert and search the area. determined the EPIRB alert was a false alarm and the Chubu Maru was released to continue on its voyage. The Chubu Maru, managed by Taiyo Nippon Kissen Co, enrolled in Amver on May 16, 1999 and has earned eleven Amer participation awards. Rescue authorities in Taiwan requested Amver assistance from U.S. Coast Guard officials to divert the Amver participating ship NSS Fortune to assist fishermen abandoning their burning fishing vessel 400 miles southeast of Kagoshima, Japan on Monday, February 9, 2015. U.S. Coast Guard officials in Guam received a request for assistance from rescue personnel in Taiwan. The Taiwanese were looking for available ships to assist eight fishermen who had abandoned their vessel after it caught fire. Using an Amver Surface Picture (SURPIC) the Japanese flagged ship was located 140 miles from the burning fishing vessel. The captain of the NSS Fortune agreed to change course and sail to the distress location. According to later reports, rescue coordinators in Taiwan were able to find a Japanese Coast Guard ship that rescued the eight fishermen and the Amver ship was released to continue on its original voyage. The NSS Fortune, managed by Bernhard Schulte Shipmanagement of Germany, enrolled in Amver on November 24, 2003 and has earned seven Amver participation awards. Who joined Amver this week? Take a look. Perhaps your vessel is listed below. If it is, take a #selfie or post a picture of you on the vessel. We'd love to see the people behind the Amver program. Amver is more than ships and communications networks. Amver is people. Amver is you. Thank you for being a part of a global search and rescue system. 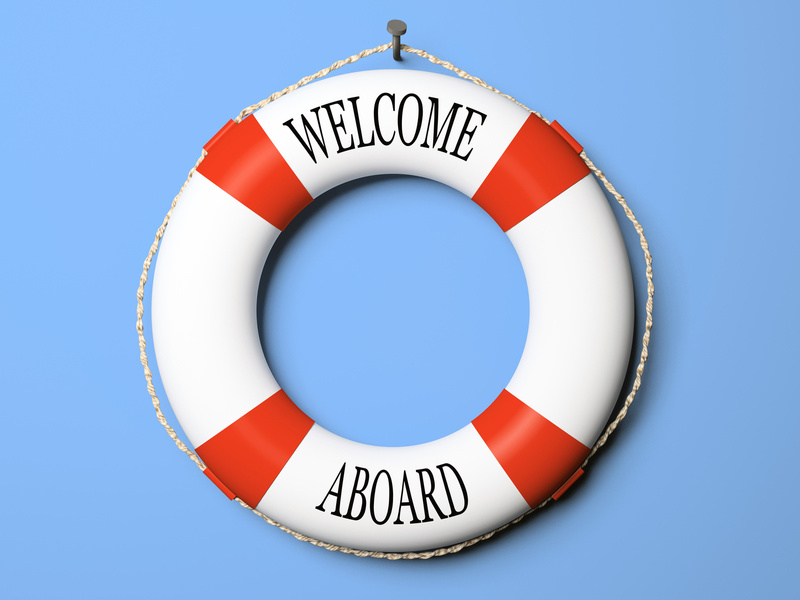 Now help us welcome the latest vessels to enroll. The Amver participating offshore supply vessel (OSV) Harvey Falcon and the tanker Moscow University assisted in a search for the fishing vessel Captain Mike after a 406 MHz Emergency Position Indicating Radio Beacon (EPRIB) alert was received for the fishing vessel 170 miles off the coast of Galveston, Texas on Wednesday, February 4, 2015. U. S. Coast Guard rescue authorities at the Eighth District Command Center received the EPRIB alert and launched a search aircraft from Air Training Center Mobile, Ala. Rescue personnel also used the Amver system to locate the 239-foot offshore supply vessel and Liberian flagged tanker to assist in the search operation. The Moscow University made call outs on the radio but was unable to make contact with the Captain Mike. The Coast Guard aircraft was able to locate the fishing vessel and the crew of the Captain Mike said their EPRIB was malfunctioning. The OSV Harvey Falcon also made contact with the fishing vessel and confirmed there was no distress. All Amver ships were released. The OSV Harvey Falcon, managed by Harvey Gulf International Marine of New Orleans, La. enrolled in Amver on April 1, 2011 and has earned four Amver participation awards. The Moscow University, managed by Unicom Management of Cyprus, enrolled in Amver on April 6, 1999 and has earned six Amver participation awards. The Amver participating tanker Aqualeader assisted in the rescue of five sailors after they alerted rescue personnel they were in distress 120 miles southwest of Monterey, Calif. on Saturday, January 31, 2015. The distress was confirmed by a C-17 transport plane flying near the distress location. Crew members from the aircraft located the sailboat near the distress location. Rescue personnel from the U.S. Coast Guard Eleventh District launched rescue helicopters from Air Station San Francisco and Air Station Los Angeles along with diverting the Liberian flagged tanker to assist. The Aqualeader was only 20 miles from the sailboat. 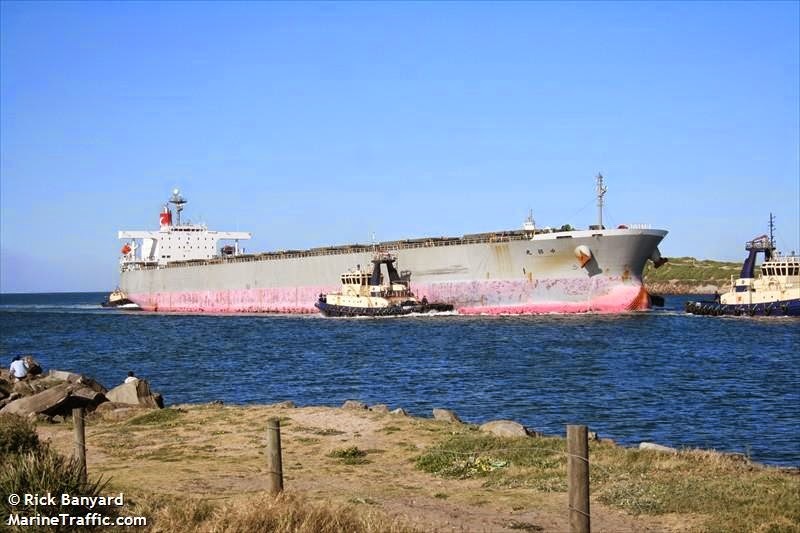 The captain of the 813-foot tanker arrived on scene and made one rescue attempt but was unable to safely come alongside the 65-foot sailboat. The Aqualeader's crew reported waves were eight to ten feet and winds were approximately ten knots. The Aqualeader positioned itself to block large waves and provide a lee for the helicopter rescue crew who successfully hoisted all five survivors to safety. The survivors were flown to shore with no injuries and the Aqualeader was released to continue on its voyage. 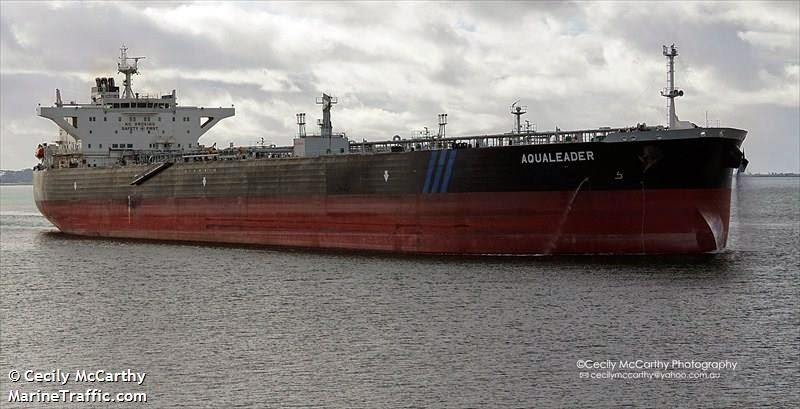 The Aqualeader, managed by Unisea Shipping of Athens, Greece, enrolled in Amver on November 7, 2011 and has earned three Amver participation awards. The Amver participating car carrier Astral Ace rescued five fishermen in the South China Sea on Sunday, February 1, 2015. 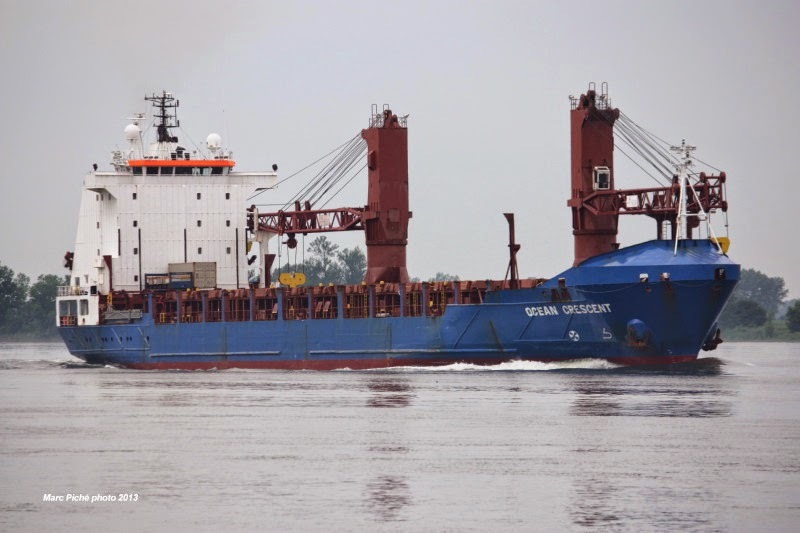 According to a press release by MOL Ship Management, the Panamanian flagged car carrier was sailing from Singapore to Thailand when crew members spotted the fishermen abandoning a fishing vessel near the Malay Peninsula. Within an hour of discovering the distress the survivors were safely aboard the 570-foot ship. The captain of the Astral Ace arranged to disembark the two Malaysian and three Indonesian fishermen with Malaysian Maritime Rescue authorities. The Astral Ace enrolled in Amver on June 15, 2000 and has earned three Amver participation awards. 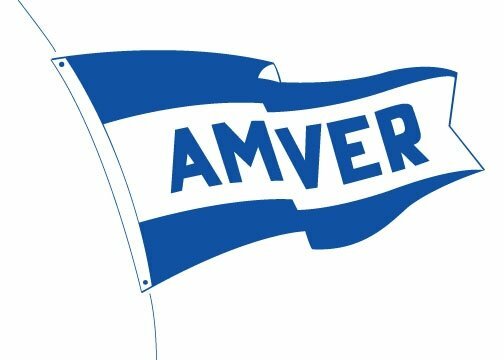 If there is any doubt the lengths seafarers will go to save a life you don't need look much further than Amver. Whether in a rescue or a rescue attempt, seafarers will risk everything to save a life. We're grateful you trust us with your vessel positions and precious time on the bridge as you send your detailed position reports. Yes, Long Range Identification and AIS, both mandatory, are easier and automated. But your position report coupled with your sailing plan gives search and rescue personnel the clearest picture of what ships are available for search and rescue. Clearer than LRIT or AIS? Yes! You can enroll in Amver and become a part of a comprehensive and coordinated rescue fraternity. Now help us welcome the latest members of the Amver safety network. The Amver participating cargo ship Ocean Crescent responded to a call to rescue the crew of a 55-foot catamaran with five people on board 200 miles south southeast of Cape Hatteras, North Carolina on Friday, January 30, 2015. The five survivors were eventually rescued by a U.S. Coast Guard helicopter. Rescue personnel at the Coast Guard's Fifth District command center received a report the 55-foot catamaran Rainmaker was demasted and adrift off the North Carolina coast. Using an Amver surface picture, rescuers diverted the 393-foot ship to assist in the rescue efforts and launched an Air Station Elizabeth City helicopter. "I am on the scene and ready to make an approach to recover the people on board," the captain of the Ocean Crescent reported. The transfer to the ship proved unsafe and the ship maneuvered to provide a lee while the helicopter hoisted the yachtsmen. The helicopter transported the survivors to shore. The crew plans to salvage the catamaran. The Ocean Crescent enrolled in Amver on April 7, 2003 and has earned four Amver participation awards.